No way to turn off beta builds? I guess my only recourse is to uninstall the beta, reinstall the stable version, and re-enter my credentials? There were no database schema changes so there should be no need to wipe everything out and re-sign-in. I did remove the beta version and reinstall the stable version, at which point the Chrome extension stopped working until I also removed and reinstalled it. I do think it would be good to fix this bug (the disabled beta build checkbox) or update tte documentation to agree with the current behaviour. Thanks for the feedback, I let the documentation team know. 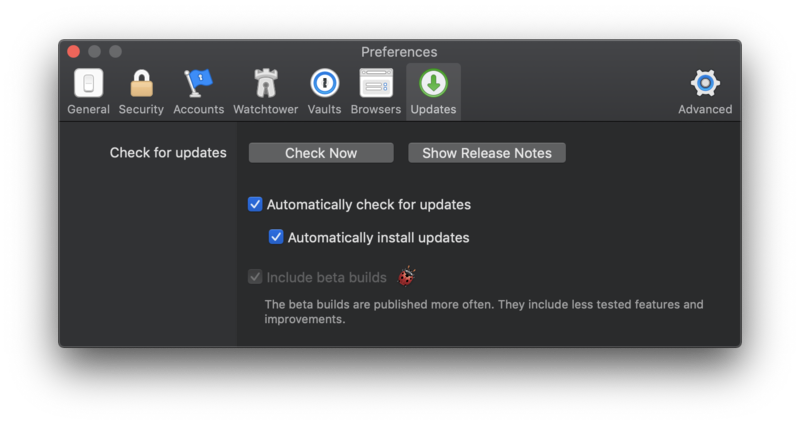 I don't see that here, "Mac Beta" is what I see. There is a sub-forum called 1Password 6 Beta that exists as an archival forum. Yup, that's a sub-forum to the Mac Beta forum. 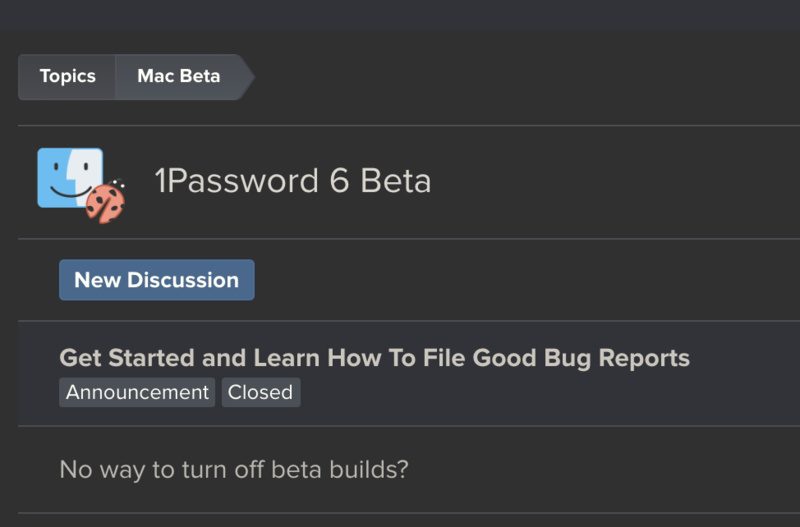 This topic itself is in 'Mac Beta' and not 'Mac Beta/1Password 6 Beta'. Oh, I see. I think the forum here seems so primitive to me that I assumed without realizing it that the structure was non-hierarchical, and therefore that was a heading for the content below, rather than a container. I stand corrected!